Description: Function generators are useful in a ton of applications from RF to embedded logic. They're not usually super cheap though. Good news: we found a kit. 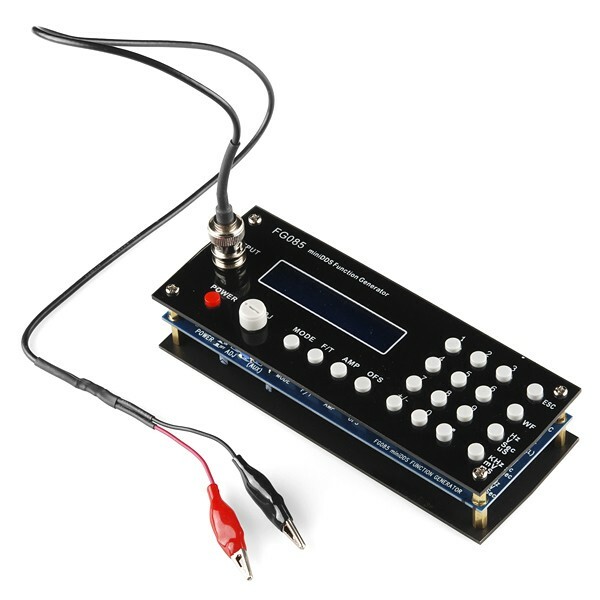 The FG085 MiniDDS Function Generator is a 'some assembly required' kit that becomes a flexible, functional and easy to use frequency generator. Just solder the through-hole parts in place, attach the face/base plates and before you know it you'll be generating sinewaves at frequencies up to 200KHz! But that's only one of the tricks this thing can do. 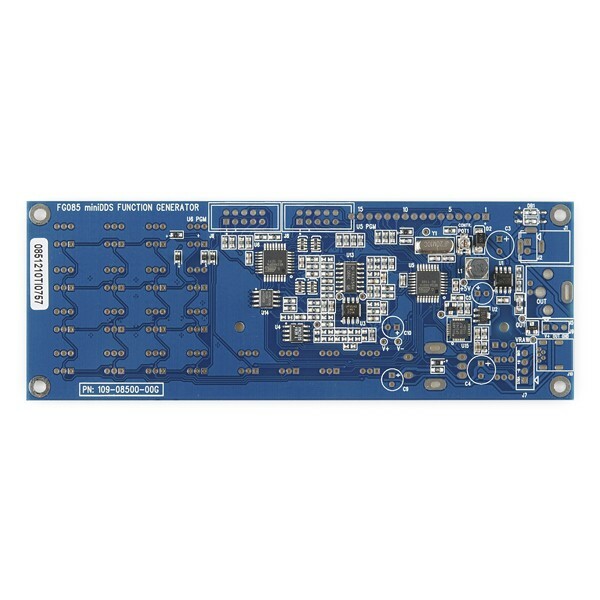 Three different operating modes allow the FG085 to generate 7 different types of continuous waveform as well as servo test and control signals in micro-second resolution. The LCD screen and menu system make this an easy instrument to operate. Frequency, amplitude and offsets can all be set with the number pad and incrementally adjusted with the rotary encoder. The incremental step size can even be adjusted to make sweeps over a wide range easier to handle. 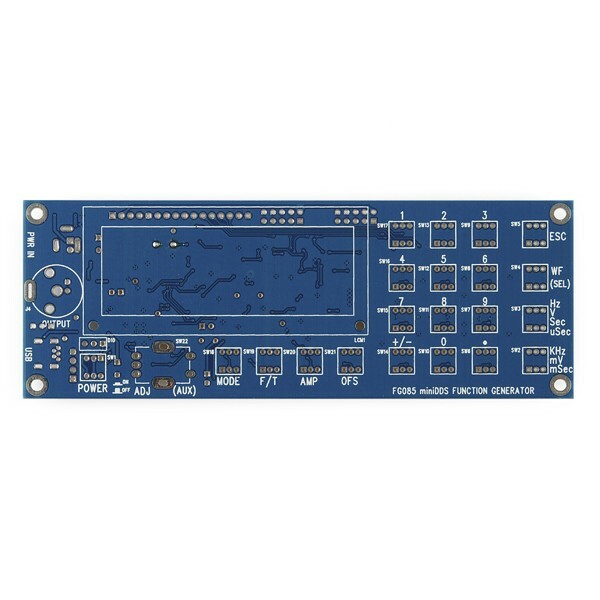 The FG805 can generate a peak to peak amplitude up to 10V with an offset range from -5 to +5VDC. 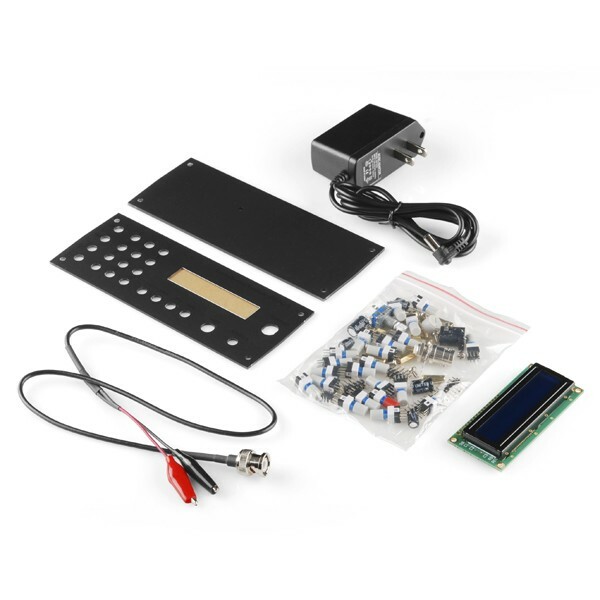 It can even be used as an adjustable DC voltage source by setting the amplitude to 0.